C1510. BRUNO MADERNA Cond. 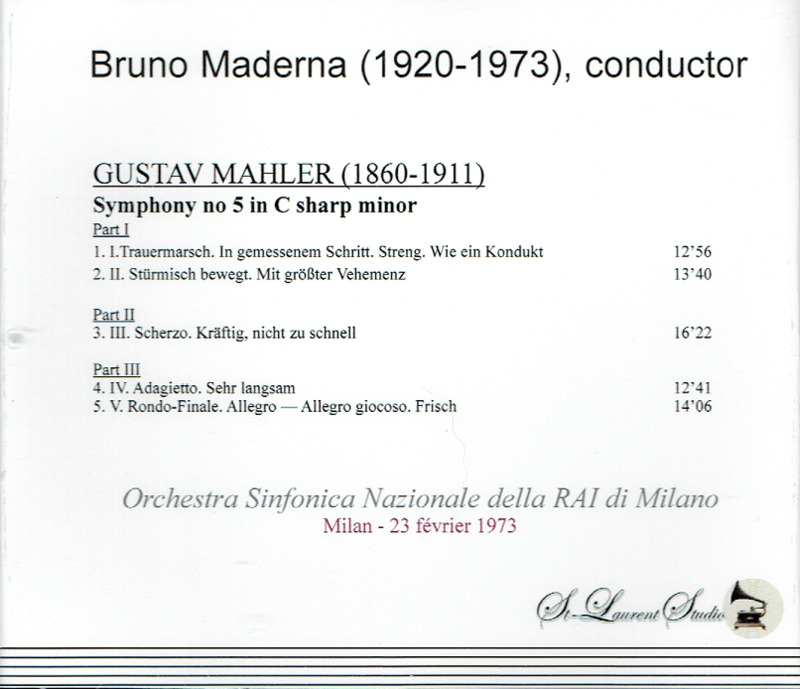 RAI S.O., Milano: Symphony #5 in c-sharp (Mahler), Live Performance, 23 Feb., 1973. [One surely will never hear a more deeply penetrating, profoundly moving 'Adagietto' than Maderna's performance here!] (Canada) St Laurent Studio YSL T-459. Transfers by Yves St Laurent. 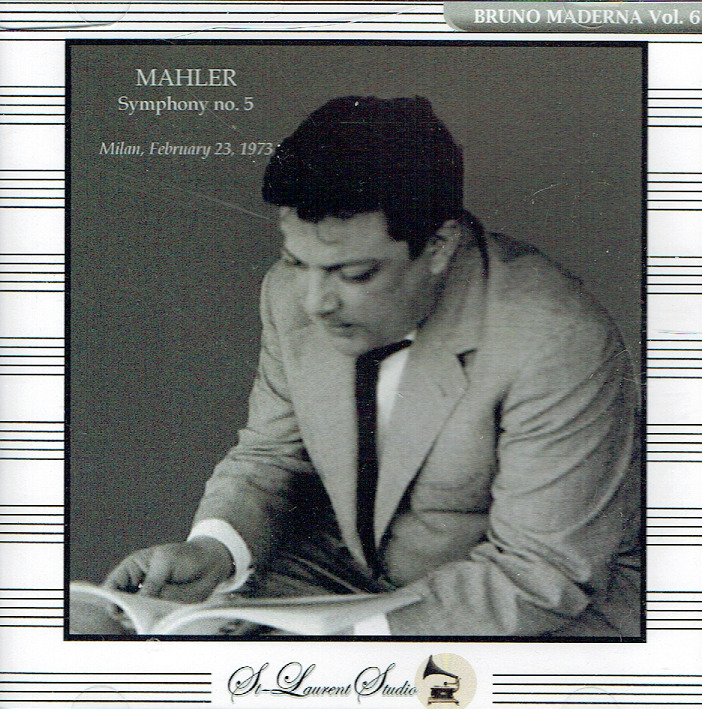 �gItalian composer and conductor Bruno Maderna was one of the preeminent figures in contemporary European music in the mid-twentieth century. 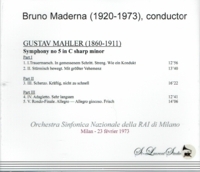 By the age of 20 Bruno Maderna had already earned his degree in composition from the Conservatory of Rome and returned to Venice to continue under composer Gian Francesco Malipiero.